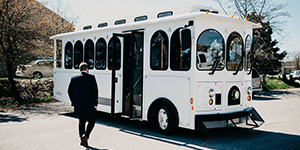 Get to your special event in style and in great company! 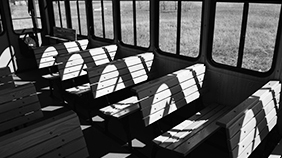 You and your guests can enjoy yourselves, the ride and arrive safely. 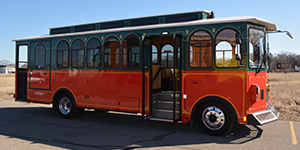 The Muskegon Trolley company will try their best to accommodate your needs to make planning as easy and stress-free as possible. 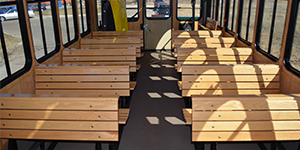 Our trolleys seat 16 to 22 individuals with extra standing room inside and an open-air balcony on the back for making your special event even more memorable and exciting. One is also wheel chair accessible to accommodate every patron. If your group requires wheelchair accessibility, please mention it at time of booking. The vehicles are suitable for a comfortable ride in any season. 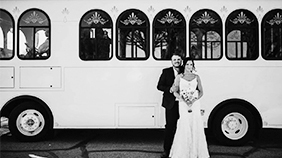 We travel anywhere with Muskegon County; beaches, parks, churches, halls, etc. We apologize, but trolleys are not available during major holidays. Know the date of your event? 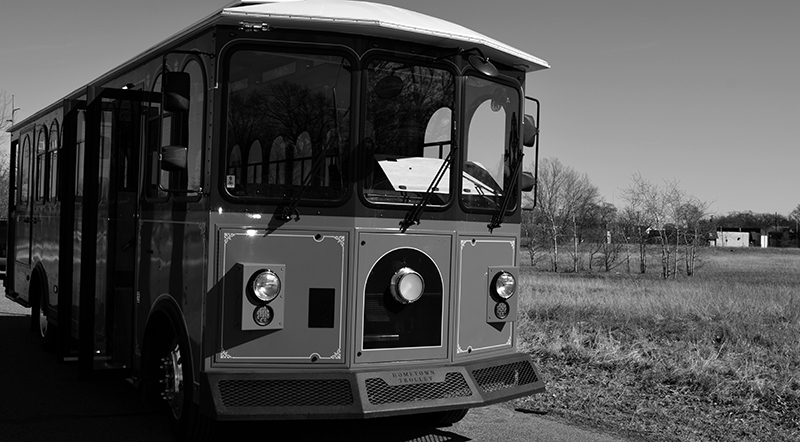 You can reserve our trolleys up to 12 months in advance! We offer competitive rates and discounted rates for non-profit agencies. *Weekends: Friday, Saturday, & Sunday $200 per hour Week Days: Monday-Thursday $150 per hour Rental “Time” begins and ends at our facility. A 2 hour minimum rental is required. *Approval is required in advance for non-profit discount. Yes, alcohol is allowed provided guests are of legal drinking age. Cans and plastic bottles are preferred. Glass bottles are discouraged and Kegs are not allowed. You may decorate the trolley. Decorations must not interfere with the drivers view, or deface trolley finish, and must be removed after your event. WHAT IF WE GO OVER OUR PAID TIME LIMIT? It is the responsibility of the customer, not the driver, to be aware of the time so as not to incur added charges. Service that extends beyond the expected times will be assessed and billed to the responsible party after the event. DO WE HAVE TO PAY FOR A FULL HOUR? All charters must begin or end in Muskegon County. Once we pick you up, we can take you anywhere you want to go. Any trips outside of Muskegon County must be approved prior to the trip. SHOULD WE TIP THE DRIVER? Our drivers are employees of the County of Muskegon and are not able to accept gifts for personal gain. Any tips received will be used for employee group functions. 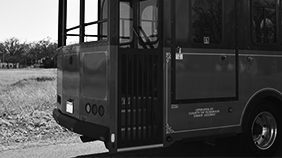 Our vintage trolleys are in good repair, however in the event of mechanical failure we will do everything we can to provide a replacement as soon as possible. If we are unable to provide a replacement, you are entitled only to a refund of money paid. You and your group will get the attention you deserve. Ride around beautiful down town Muskegon. Sit down, stand up, or wave from the politician platform. There’s plenty of room to ride in comfort. 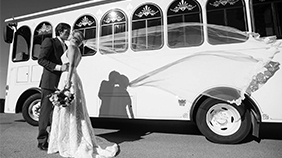 The trolley can also serve as an elegant addition to your event photography.